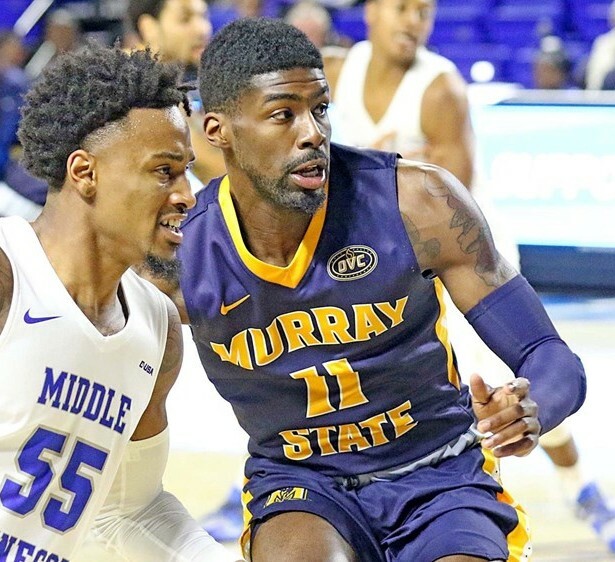 Murray State senior Shaq Buchanan was honored Monday as part of the list of 25 finalists for the CollegeInsider.com 2019 Lefty Driesell award. The award is presented annually to the top defensive player in college basketball. Buchanan, from Madison, Mississippi, just had a tremendous 2018-19 season where he was named as the Ohio Valley Conference Defensive Player of the Year. Buchanan helped the Racers rank third in the nation in defending the 3-point shot and 43rd in defensive field goal percentage. Thanks to Buchanan and the Racers' team defense, MSU was fifth in the nation in scoring margin. Buchanan had 60 steals this season, to rank second in the OVC. The award is named after Lefty Driesell who won 786 games in 41 years at Davidson, Maryland, James Madison and Georgia State. He ranks eighth on the NCAA career Division I coaches victories list and his teams at each stop were known for playing tenacious defense. He also coached Davidson, Georgia State and James Madison to the NCAA tournament, making him one of three coaches to reach the NCAAs with four different programs. The recipient of the award will be announced on April 5 at the College Insider Awards Event, in Minneapolis, site of the 2019 NCAA division I basketball championship.